Stamford, Conn. – Nov. 12, 2014 – Two of the NFL’s top quarterbacks and offenses take center stage this Sunday night on NBC when Tom Brady and the New England Patriots (7-2) visit Andrew Luck and the Indianapolis Colts (6-3) on SundayNight Football. 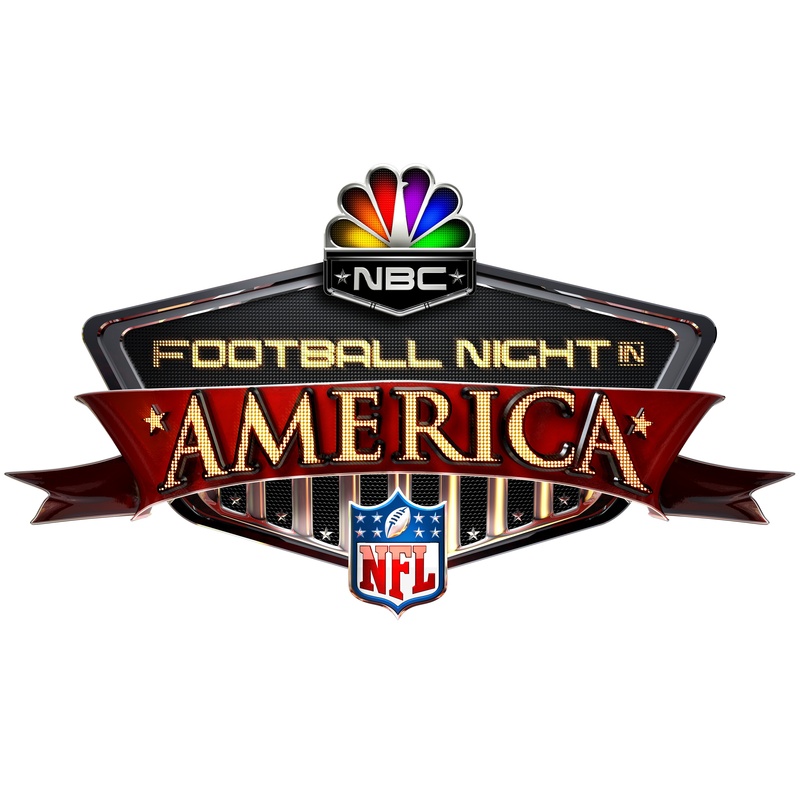 Sunday night’s coverage begins with Football Night In America at 7 p.m. ET. The Patriots and Colts enter their Sunday Night Football showdown as division leaders in the AFC East and AFC South, respectively, led by two of the NFL’s most efficient quarterbacks. Luck currently leads the NFL in passing yards (3,085) with an offense that leads the league in scoring (32.2 points per game), ranks second in the NFL with 26 touchdown passes (Peyton Manning; 29), and has eclipsed 300 passing yards in seven straight games. Brady has dominated opposing defenses during the Patriots’ current five-game winning streak, boasting an 18-to-1 touchdown-to-interception ratio, as New England has averaged 40.2 points per game. The Patriots and Colts have each earned playoff berths in five of the last six seasons. Calling Patriots-Colts is seven-time Emmy Award-winner Al Michaels (play-by-play), in his 29th season as the voice of the NFL’s premier primetime package; 15-time Emmy Award-winner Cris Collinsworth, who has won the Emmy for Outstanding Event Analyst in each of his five seasons in the Sunday Night Football booth; and two-time Emmy Award-winning sideline reporter Michele Tafoya. Football Night in America, the most-watched studio show in sports, is hosted by 26-time Emmy Award-winner Bob Costas, who will report from Lucas Oil Stadium on Sunday. Costas will be joined on site by Collinsworth, Tafoya, two-time Super Bowl winner Hines Ward, and NBC Sports commentator Josh Elliott. Dan Patrick co-hosts Football Night from NBC Sports Group’s Studio 1 and will be joined by Super Bowl-winning head coach Tony Dungy, two-time Super Bowl winner Rodney Harrison, Mike Florio of Pro Football Talk on NBCSN and NBCSports.com, and Peter King of Sports Illustrated. Carolyn Manno will report from Lambeau Field in Green Bay, Wisc., on the Eagles-Packers game. Football Night In America analysts Tony Dungy and Rodney Harrison previewed this week’s Patriots-Colts Sunday Night Football matchup on a media conference call on Tuesday. Dungy spent seven seasons as the Colts’ head coach, leading Indianapolis to an 85-27 regular-season record during his tenure, and a Super Bowl XLI victory over Chicago in 2007. Harrison played six seasons with New England, and won back-to-back Super Bowls in 2004 and 2005 as a member of the Patriots. This week’s all new edition of NFL Turning Point, NBCSN’s Emmy Award-nominated weekly NFL show co-produced by NFL Films, will feature in-depth analysis of some of Week 10’s most compelling matchups, including Colin Kaepernick and the San Francisco 49ers overtime victory on the road against Drew Brees and the New Orleans Saints. Airing Thursday morning at 1 a.m. ET / Wednesday night at 10 p.m. PT, the episode will also review the key moments that defined the Titans-Ravens, Dolphins-Lions and Cowboys–Jaguars contests. In addition, the show will feature in-game audio from select matchups, including wired-for-sound segments from Ravens QB Joe Flacco and head coach John Harbaugh, Lions WR Calvin Johnson, and Cowboys head coach Jason Garrett. Pro Football Talk, NBCSN’s daily NFL studio show co-hosted by Mike Florio and Paul Burmeister, airs at 5:30 p.m. ET every Monday through Friday. Pro Football Talk provides all-encompassing coverage of the NFL, and features a roster of NBC Sports football commentators who share a combined eight Super Bowl titles and 169 seasons of NFL experience, including Cris Collinsworth (Thursdays), Tony Dungy (Tuesdays), Hines Ward (Wednesdays), Doug Flutie (Fridays),Jason Taylor, Takeo Spikes, Brian Westbrook, Ross Tucker, Jon Ritchie, NFL coach Kevin Gilbride, and longtime NFL athletic trainer Mike Ryan.